Dr. Torsten Lange is Visiting Lecturer for the Theory of Architecture at the Institute gta, ETH Zurich. He studied Architecture at the Bauhaus University Weimar, Germany, and received his Master’s and Ph.D. in Architectural History and Theory from the Bartlett School of Architecture/UCL. His research focuses on twentieth-century architecture and urbanism, especially in socialist Eastern Europe, and examines issues of production, labor and forms of practice, as well as questions of gender and the environment. His work has been published in peer-reviewed journals such as Archimaera, Field, The Journal of Architecture, East Central Europe, and others. He contributed to the edited volumes Industries of Architecture (Routledge, 2016) and Produktionsbedingungen der Architektur (Thelem, 2018). With Ákos Moravánszky, Judith Hopfengärtner, and Karl R. Kegler he co-edited the three-volume publication East West Central: Re-Building Europe, 1950–1990 (Birkhäuser, 2017). Michael Osman is an Associate Professor and the Director of the Critical Studies and M.A./Ph.D programs at UCLA Architecture and Urban Design. His research in architectural history focuses on the modern period with a particular emphasis on the buildings and cities of the United States. 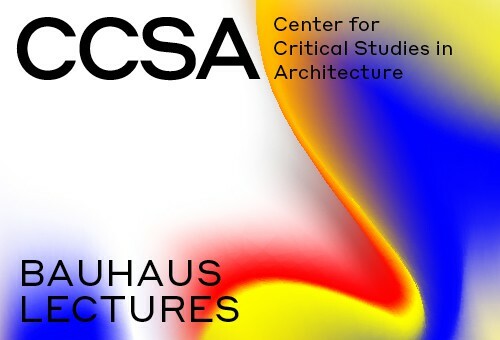 He seeks connections between the infrastructure that undergirds the process of modernization and the historiography of modernist architecture. Some topics of his writing include: the early formation of ecological science and its influence on theories of city growth, the study of the managerial instruments used for organizing and representing spaces for industrial production, and the architectural profession’s relation to modern construction processes. In this expanded view of modernism’s history, he identifies the contributions made by architects and urban thinkers to changes in the modes of life over the last two centuries. Osman’s book, Modernism’s Visible Hand: Architecture and Regulation in America (University of Minnesota Press), focuses on the history of environmental and economic systems of regulation in the United States. A number of his essays address critical problems in modernism’s historiography.